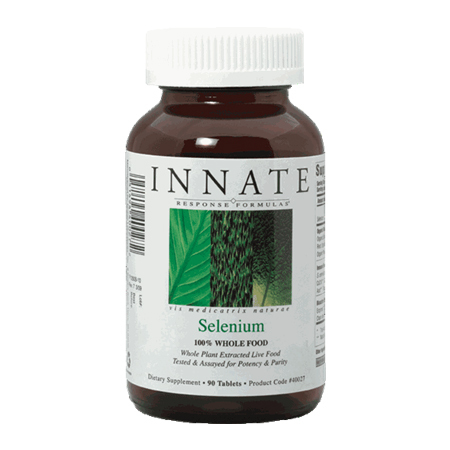 As a nutritional trace element, Selenium forms an essential part of our diet. In collaboration with the International Agency of Research on Cancer, researchers from Berlin have been able to show that high blood Selenium levels are associated with decreased risk of developing liver cancer. In addition to other risks factors, the study also examines the extent to which Selenium levels may influence the development of other types of cancer. Results from this study have recently been published in the American Journal of Clinical Nutrition. Selenium (Se) is found in foods like wild fish, shellfish, meat, milk, eggs, and grains. Additionally, certain South American nuts, such as Brazil nuts, can be good sources of Selenium. Selenium occurs naturally in soil and plants, and enters the bodies of humans and animals via the FOOD they ingest. Selenium has been demonstrated to be more bio-available in a food form than in a synthesized or isolate form. In other words, getting it from a natural food source OR a natural food based supplement is ideal. Sadly, the number one food consumed by Americans is refined, bleached white flour. Whole grains which can have some of the highest sources of Selenium are then refined to bleached white flour removing 95% of the nutrients. Additionally Selenium content of foods has been greatly reduced over the past 100 years because of changes in farming practices. In the North America, Selenium is particularly concentrated in the soils of the drier regions like the Great Plains, westward to the Pacific, and south into Mexico. The average American diet is significantly deficient in Selenium. Folks that live in Europe are additionally disadvantaged because their soil Selenium concentration is even lower than other parts of the world. In general, varying degrees of Selenium deficiency are common. In order to reach the optimum Selenium level, a daily supplement of Selenium was recommend some 30 years ago by researcher Dr. Gerhard Schrauzer. In Japan, where the cancer rates are the lowest, the typical Japanese diet averages 600 micrograms daily. Chris Barr aka NotADoc who has studied and researched selenium since the 70’s recommends every man, woman and child in America should supplement with at least 200 micrograms of the highest quality, whole food, grown variety of selenium. For optimal benefits, people should aim to ingest 400 micrograms daily. You can get great information on selenium and cancer from NotADoc’s booklet, SELENIUM – One Cancer Answer 100 years and counting which is available at our website https://choosetobehealthy.com/pa_brand/chris-barr/.